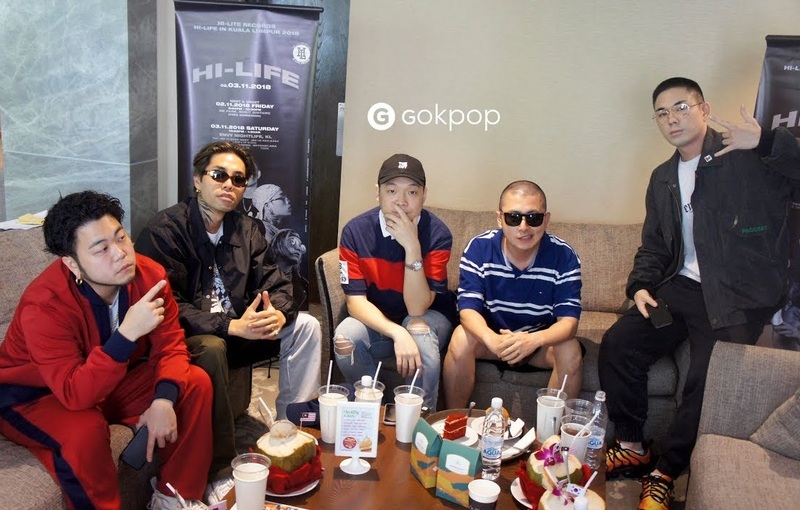 Last month (3 November) Hi-Lite Records' - Paloato, G2, Reddy, YunB, Huckleberry P, Sway D and DJ DJanga came to Malaysia for a Meet & Greet session and a mini concert titled "Hi-Life in KL 2018". Ahead of the event, we had an opportunity to sit down with the artists and talked about their music, upcoming projects and Hi-Lite Records family. YunB and G2 who're fluent in English were the spokesperson of the day, answering the questions and helping the label mates to translate all the messages. Q: Is this your first time in Malaysia? Have you done any sight-seeing or tried any Malaysian food? Palaoto: It's our first show in Malaysia. / Yesterday we ate Malaysian food at the market (ps: Jalan Alor). YunB: I mean the stingray was nice and we also had some chicken stick. It's sweet. (ps: satay) It was really sweet but I like it. Q: It’s been a while since we heard your new project, any plan for new single or album release or any collaboration? YunB: We have a lot of story for you guys. His (G2) album is coming out real soon November. G2: It's December! Do you know the title of my song? and you know he (Reddy) already released his new single, "Stand by You". We have 4 tracks coming out as a collaboration of the whole label, there could be more but for now 4 tracks. Palaoto: Also, new artist announcement. YunB: We gonna release an announcement of our new artist. G2: A new Hi-Lite signee. and today (2 November), later at 6PM, Huckleberry P will release double single (수수방관 Passing Through & Wave). It's been his tradition to release track before his signature solo concert 분신 (焚身). So, he is keeping his tradition with solo performances. The tickets are already sold out, so y'all gonna be ready to listen to his track. Q: Some of you joined Show Me The Money (SMTM), so what are your thoughts after joining the show? Did you feel the differences before and after the show? 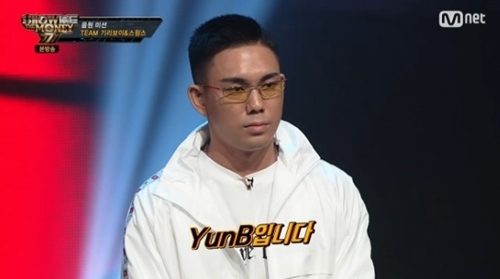 YunB: The difference is very obvious because at the end of the day, before we had all these shows, Hip Hop or being a rapper was more like something that an average person would not able to encounter but after the show any rappers or person who's on TV gave a different type of feeling (to the audience). It's the same thing when you see a celebrity or an actor on TV. After the show there's definitely a big difference. G2: Exposure and hip hop it's kinda like being placement in the mainstream media. Q: What inspired you to start rapping and taking it as a serious career? Reddy: When I was 13, I first heard of Hip Hop music and I really like it. More than the music itself, for me it was the culture and how they dress, the feel of Hip Hop, that's how got me into Hip Hop. Palaoto: When I was in the middle school, I really enjoyed listening to western music via Mnet and K MTV, especially Jay-Z, Tupac music. It was the moment for me to 'absorb' American Hip Hop through media and I started to write my own lyrics. Back then there wasn't any fancy equipment, I used to record using a tap recorder. YunB: G2 is same as me. we, both grown up in that area, Hip Hop. It's cool. When we were young, we wanna be cool. G2: We are born natural, we don't have to do anything but (our surrounding) like my neighbor, teachers, everybody sharing the same interest. 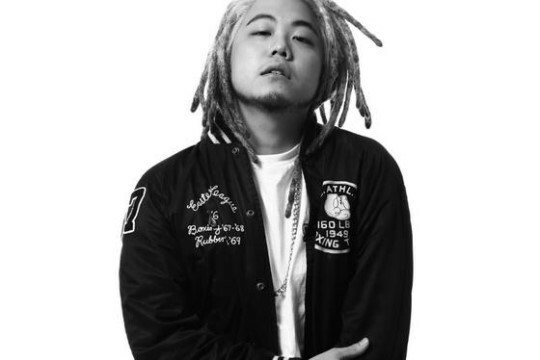 Huckleberry P: I'm really interested of rap, I started to research on Hip Hop culture, the fashion, the way their talk. YunB: Huckleberry P is different with G2 and me because his idol back in the day was Korean Hip Hop artist. As he was saying Drunkin Tiger and rappers during his generation. Q: There are so many talent rappers coming up each year, how do you stand out among other rappers? Palaoto: Trends shift as time passed. As I enjoy music, so naturally I'll listen to music that is newly released and from there it gives inspiration for my own music. Naturally, it helps me from not falling behind those trends at the same able to remain my own originality. G2: I'm not saying this because he's my label mate but Palaoto is really one of the few artists that keep his originality and at the same time stays with the trend. That's very difficult because it's either with the trend or you're you (originality). But I feel like he's the only one that can keep those 2 and so, I have a lot of respect for that sense. Reddy: I think it's like fashion. Music trends changed as time passed, same goes to fashion. Following the trend doesn't mean that it's right fit for you. We wear clothes that suit us, don't try to follow the trend and force yourself to change the style that is not suitable for you. Most importantly is how to be yourself. 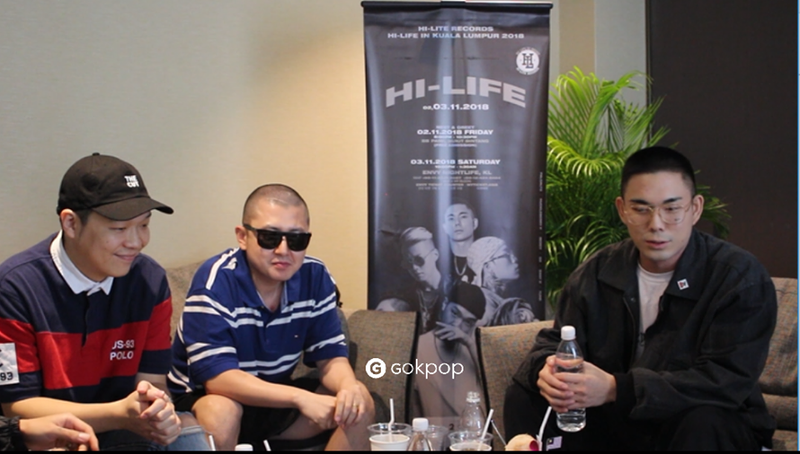 Q: We feel everyone from Hi-Lite Records has a strong bond between one another, how do you maintain the good relationship? Palaoto: This is very natural. We didn't try hard just to look good (together). It's natural. Reddy: The start of Hi-Lite is what we are now. At first, the company started with Palaolto doing the music he loves then joined by few rappers who love doing music as well. This has become the base, the basic concept for the company and now although the company has expanded, this concept still continues and remains. The family-like atmosphere naturally just formed that way. Palaoto: We respect each other that is the point. G2: For me, everybody is different as individual. We are very passion of what we do and we do things on our own, very individually but at the end of the day when we gather, we respect and appreciate each other. When we get to together, it's very natural. Final message to Malaysian fans. 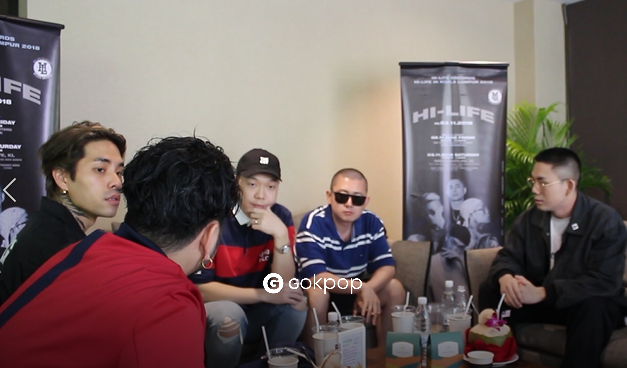 Huckleberry P: I am still surprised that there are people in overseas listen to our music and I feel like it's a miracle for being able to perform overseas. I am very thankful to fans who'll be coming for today and tomorrow's shows. Today, throughout the interview, I have been emphasizing, we are doing well. "We are doing great", this explains everything, so we will prove that at today and tomorrow's shows. Reddy: This is our first show in Malaysia and I am really looking forward and excited for it. To be truth, I am really surprise that there are fans in Malaysia who listened to our music. So, I am really looking forward to see fans who'll be coming and enjoy our shows.